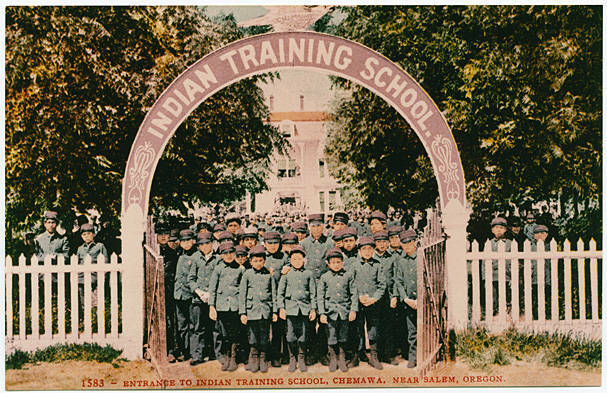 A photo of the Chemawa Indian Training School children. They are a large group reaching from the entrance arch to the main house. Chemawa Indian Training School. 1583 -- Entrance to Indian Training School, Chemawa, near Salem, Oregon.